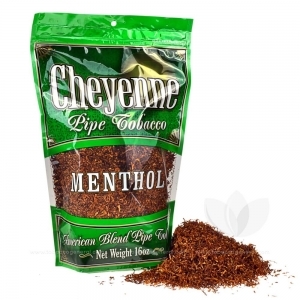 Cheyenne Menthol Pipe Tobacco uses an American grown, full-flavored tobacco and mixes it with the finest menthol flavors available. The result is a minty and remarkably smooth tobacco. 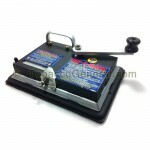 Cheyenne tobacco is famous for its medium and consistent cut with limited shake and significantly aromatic flavors. 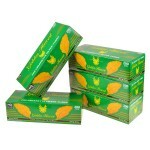 Each bag is filled to the brim with high quality leaf and tends to run a bit dry, to maximize on the value. Cheyenne Pipe Tobacco is a high quality pipe tobacco manufactured by Cheyenne International, LLC. in North Carolina. Cheyenne as a brand has developed a long and successful history of tobacco products thanks to their extremely popular and successful Filtered Cigar line. Using that same quality, consistency and mastery of tobacco, Cheyenne created this incredible pipe tobacco line. Could not get Buoy so tried this as the price was the same. It was menthol enough but found it had lots of stems and pieces you don't want in your smoke. Other than that, the tobacco was good, especially in a pinch when your go to is out of stock. Have tried Golden Harvest and was pleased. I normally use to smoke Pall Mall Menthols. I am now going on my fifth month purchasing the Cheyenne, and not bad since it was my first any only choice from month one. I use the Zen Filter Tubes in menthol as well, and have never been more pleased with both items. Tobacco is smooth, burns long and tastes fabulous. Monthly I save close to $180.00 going with RYO.